Gastronomy has become the newest trend in hobbies and everybody has suddenly turned into an expert in traditional or exotic dishes. Has the name of polenta ever come up in a discussion and you didn’t know what to say about it? Is it a sort of cornmeal and can you say this in a group of foodies without risk of embarrassment? Polenta is a dish which is traditionally served in many countries around the world but which has become popular in this Italian form. It consists of cornmeal boiled in water until it gets to the consistency of porridge, and is usually served as a side dish, instead of bread or other similar solid foods. 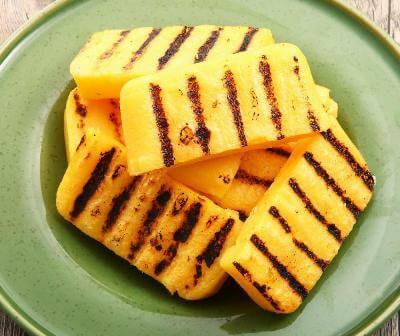 Italian polenta takes the recipe further as the cornmeal porridge once cooked is placed in a form, cut into wedges when cold and then grilled. Traditionally served as a peasant food staple, the dish is known to people in North America, South Africa and Europe. Its introduction into the American – Italian food circuit has made this peasant dish popular. It is even served in fine restaurants with a variety of twists brought to the traditional recipe. It can be cooked with herbs or cheese, and is served in wedges and with very creative plating, bringing an otherwise simple meal up to the level of fine foods. Cornmeal is a sort of maize flour, but coarser. Its consistency can be fine, medium or coarse. Cornmeal is used for making polenta and other dishes. Once boiled, it has the consistency of mush and can be served in a variety of forms, such as Mexican tamales and tortillas shells. Traditionally, cornmeal based dishes can be found in the Caribbean and in Equatorial Africa, in South and East Asia in the form of flatbread or hollow cones made from the dried porridge; it is also found in many Balkan countries and in Italy, in the Indian Ocean region, and in Central, South and North America. Apart from being used in dishes or as a side dish, cornmeal can also be used to make breakfast cereals and snacks such as Cheetos; it can also be placed on the bottom of pizza dough so as not to have it stick when baking. So what is the difference between polenta and cornmeal? Polenta is a dish whereas cornmeal is the main ingredient of this and other similar dishes. 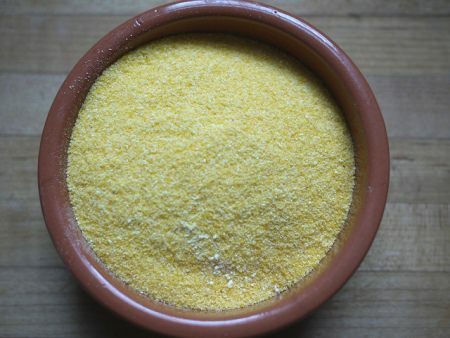 While polenta flour may be found in stores and sold as being the specific ingredient for making polenta in the Italian or traditional porridge form, it is still cornmeal ground to the proper consistency. If the pack is sold as instant polenta, special additives will make the dish cook faster. On the other hand, there is a chance for cornmeal packs labeled polenta to be the ones made of the specific type of corn Italians use for the dish, that is eight-row flint, which gives it that yellow color and a great flavor. Either way, specialists recommend not using the finest type of ground cornmeal because it will not stick together the same as other types.